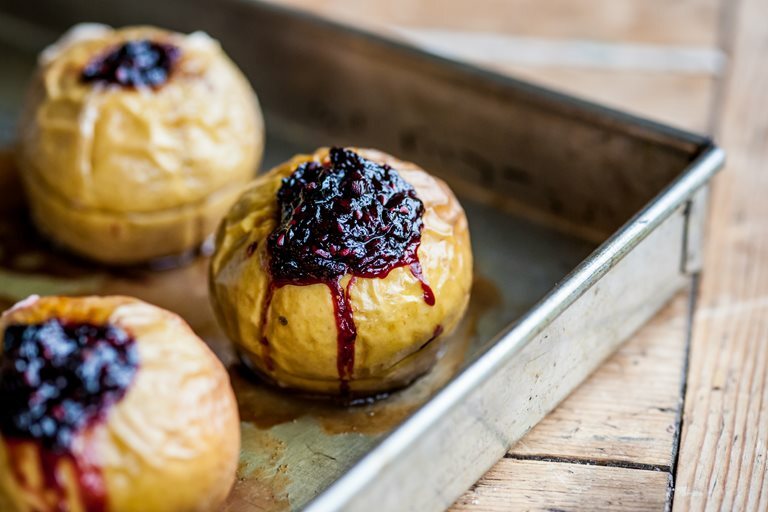 This baked stuffed apple recipe make a simple but pleasurable dessert. William Drabble uses blackberries, raisins and ground almonds for his filling but feel free to experiment with different ingredients. This is a great way to use apples when you have had a particularly good harvest.